Our Son DeAndre is wearing the BATMAN costume in the Batmobile aka the Dre Mobile. We made this mainly out of cardboard and duct tape. I went to the party section in Wal-Mart and got the decals. 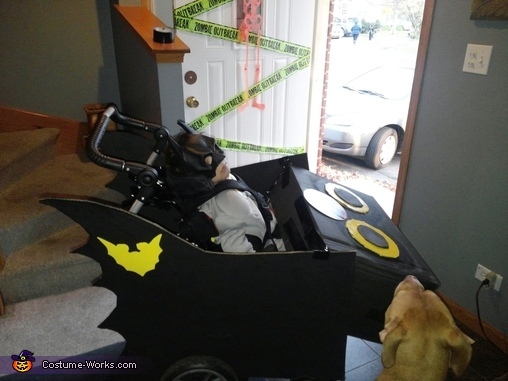 This was from the first year we started to make Dre's wheelchair costume's.